Technologies that convert text to speech are changing lives by making content easily accessible to a large population including people with reading disabilities or eye-related problems. Furthermore, nowadays people seek convenience and many would prefer having their favorite newspaper or blog articles read out loud to them. These technologies enhance learning and reading experiences. This app reads out information displayed on your screen by other applications on your device. With this app, you can listen as your favorite books are read out to you. The app can also read out translations for you while you listen to how specific words should be pronounced especially if you are learning a new language. The app is usually turned on by default on mobile devices but in case it is not you need to go to the app’s settings and select your preferred language as well as the text input option. The app is simple to use, very sensitive to user needs and supports numerous languages. Additionally, users can also select a reading speed rate that suits them best. 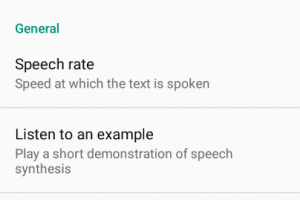 The app allows users to listen to a demo of a short series of text converted to speech conversion and adjust the speed rate accordingly. 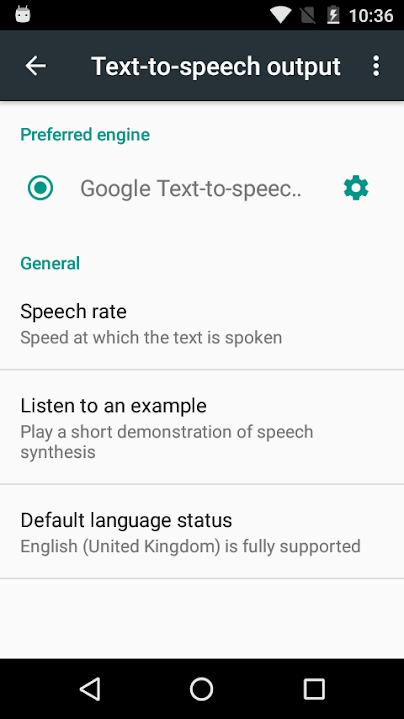 Apk Google Text-to-Speech for Android app is licensed as freeware for this operating system. It is in general category and is available to all software users as a free download.